1 tbs. ghee or olive oil for oiling hands (step 8). You can use just water. 1. Put garlic, ginger, mint, coriander leaves, green chillies and spices in a food processor and grind coarsely. 2. Add the egg and give it another quick whiz in the food processor. 3. 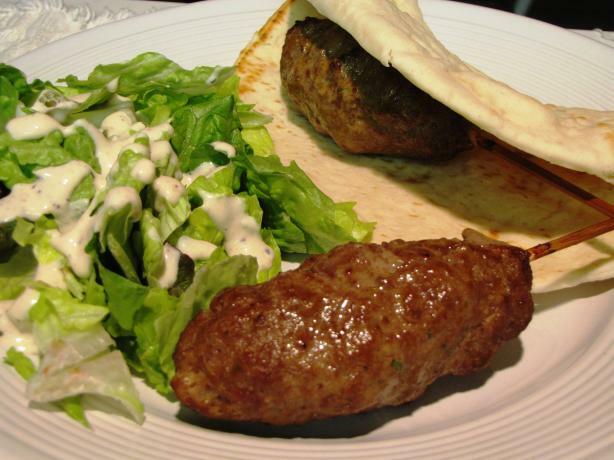 Place meat in a large bowl, add bread crumbs, finely minced onion and pour the spice paste over it. 4. Add saffron, salt and chilli powder. Mix and leave in the fridge, in an airtight container, for a minimum of 4-6 hours. Overnight is better for flavours to infuse into the meat. 5. 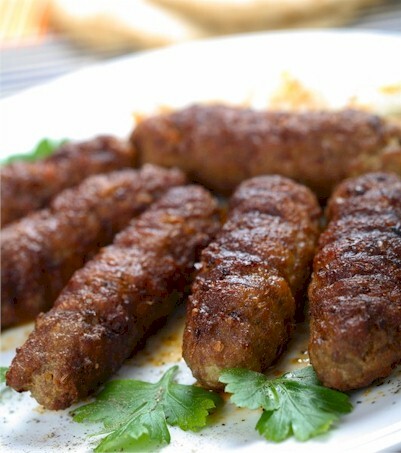 Shape the mix with dampened or oiled hands into sausage shapes on a thick skewers* grill the meat in a hot grill or tandoor.